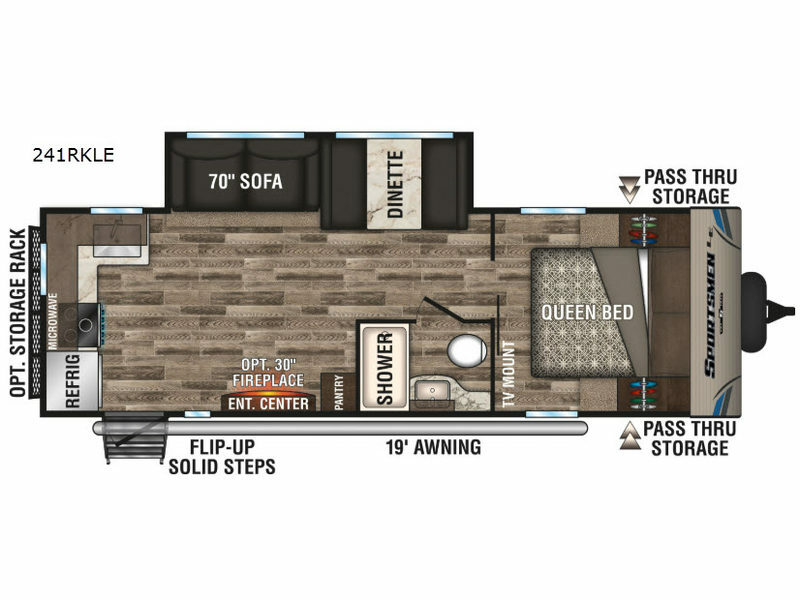 The cook in the family will love the rear kitchen layout in this Sportsmen LE. They can make meals and quickly get inside from outdoors to check something on the cooktop since the entry door is next to the kitchen. Just imagine reading a book while relaxing on the sofa or playing cards at the booth dinette with friends. Both of these furnishings are within the single slide out and will also provide sleeping space for overnight guests. When you are ready to retire for the evening the private front bedroom offers a queen bed and plenty of storage for your clothing. Take a look!